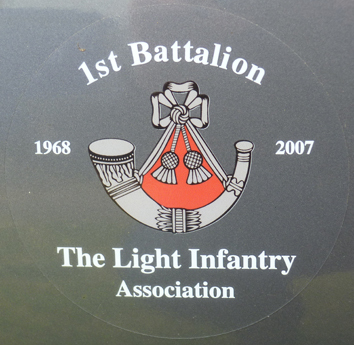 This 1LI Association Car Bumper Sticker is approx 125mm x 125mm in size, with white text & cap badge on a clear background, it is designed to be placed on the outside of a vehicle. Although a car bumper is the obvious place for the sticker it can also be placed on other outside parts. Due to the white text it will not be suitable for some car colours!